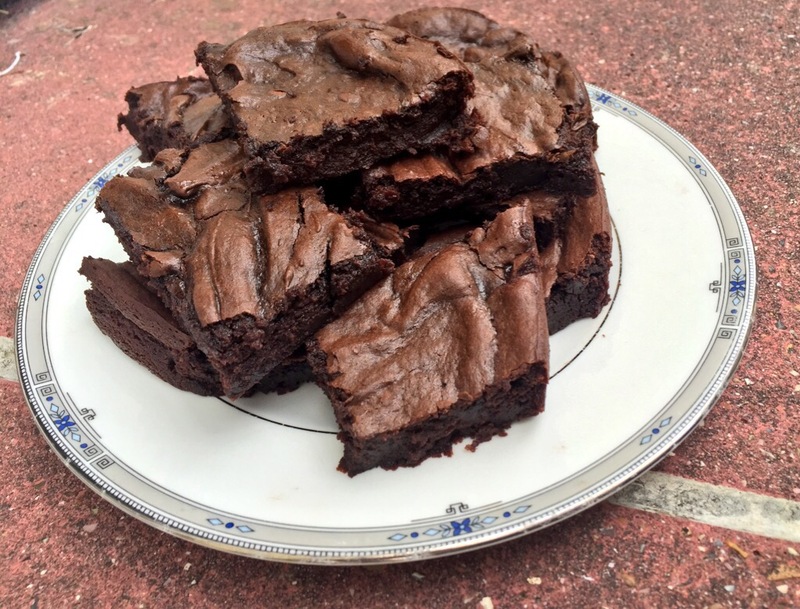 Fancy some low fat, low(ish) sugar, flourless, gluten free, grain free brownies which don’t actually taste like cardboard? 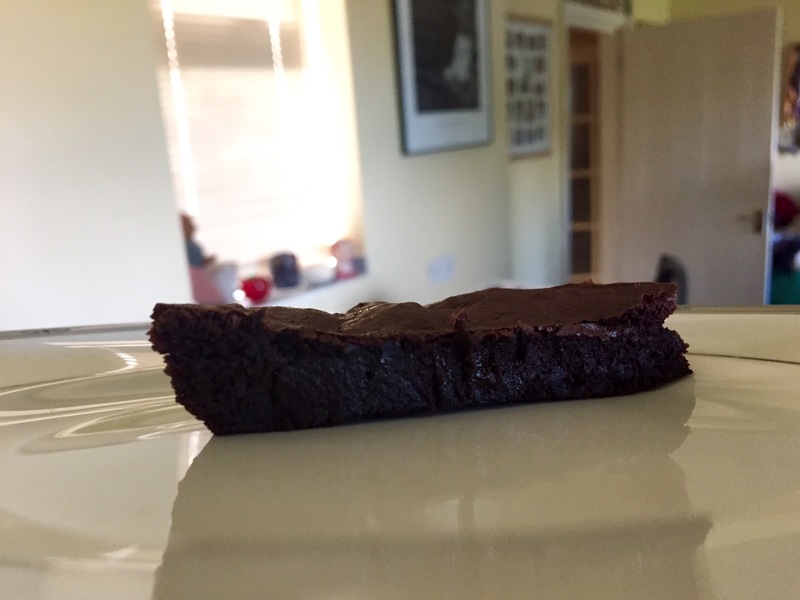 This recipe from Southern In Law (which I came across on the wonderful Pinterest) for ‘fudgy avocado (yes, avocado) brownies’ piqued my interest due to my love for those wondrous green pods of goodness and my quest to experiment a little more with healthy baking, so I knew I had to give it a try. The avocado in this recipe acts as a fat replacement (which you can’t actually taste, by the way), which is in line with the fairly recent rise in recipes incorporating other vegetables as fat replacements, such as sweet potatoes in brownies. 1/4-1/2 cup sugar, for which I used Truvia. The author notes that she prefers a little less sugar, so she went for 1/4 cup, and I did too. 1/4 seemed the perfect amount, 1/2 cup may have been a little too much. 2. Grease and/or line an 8″ square cake pan or brownie pan. I used a heart-shaped pan which probably wasn’t the best one to use, but who doesn’t love a good heart? 3. In a mixing bowl, use an electric whisk to mix the avocado with the eggs, vanilla and water until smooth. 4. Melt your chocolate and mix through your avocado mix in the food processor. For the melting I usually break up the chocolate into chunks, microwave for 20-30 seconds, remove and stir. I then repeat this until it’s all melted. 5. Add in your cocoa, sugar, baking soda and salt and mix until just combined. 7. Scoop your mixture out of the bowl into your prepared pan, smoothing out the top and making sure you spread out the mix to all of the edges. 8. Bake for 20-25 minutes or until cooked through and a skewer inserted removes clean. 9. Leave to cool before taking out of the pan and chilling in the fridge. 10. Slice and serve chilled. Now, these are unbelievably good and fudgey, they really are. They’re delicious and would be amazing served with ice cream, or just as they are. Even if you don’t normally like the taste of avocado, you, your tastebuds and your guests would have no idea that the mixture had once upon a time been green. I really love this recipe, and I hope you’ll give it a try and love it, too!